The English version is not available yet. However, we aim to translate some of the tss1976.com webpages into English version in near future. 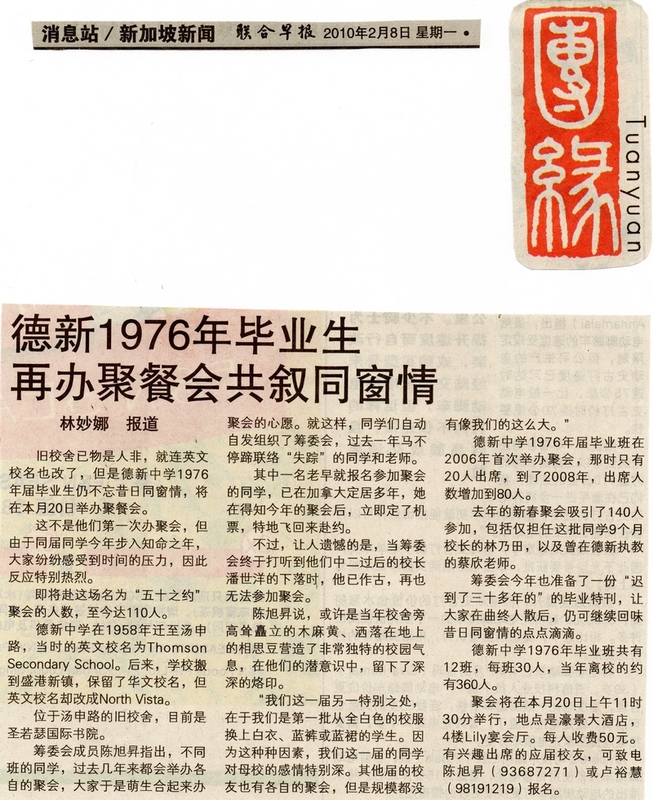 Any ex-student of Thomson Secondary School who belongs to one of those Sec.-4 classes during year 1976, and possesses the competency of translation technique, and wish to volunteer your time to assist us in doing this translation project is most welcome.